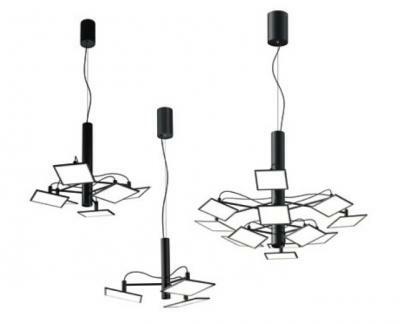 The Adjust-S series are OLED chandeliers that use LG Chem's square OLED panels. They come in three sizes (3, 6 or 12 OLED panels). The lamps provide 450 - 1800 lumens. These are LG Chem's latest 14x14 cm OLED panels(12.9 x 12.9 active area) that feature a lifetime of 40,000 hours, 60 lm/W and a high CRI (90). The Adjust-S are now available in Germany for €869 to €9990 (including the 19% German tax).